Malaysians usually own some pretty conventional pets but for Erica Lim who lives in the heart of Kuala Lumpur, her choice is something really different! That’s because she has a feathery little duck instead of the usual dogs or cats. The 39-year-old insurance agent has since gotten used to the attention and questions from friends and strangers about her interesting choice of pet. 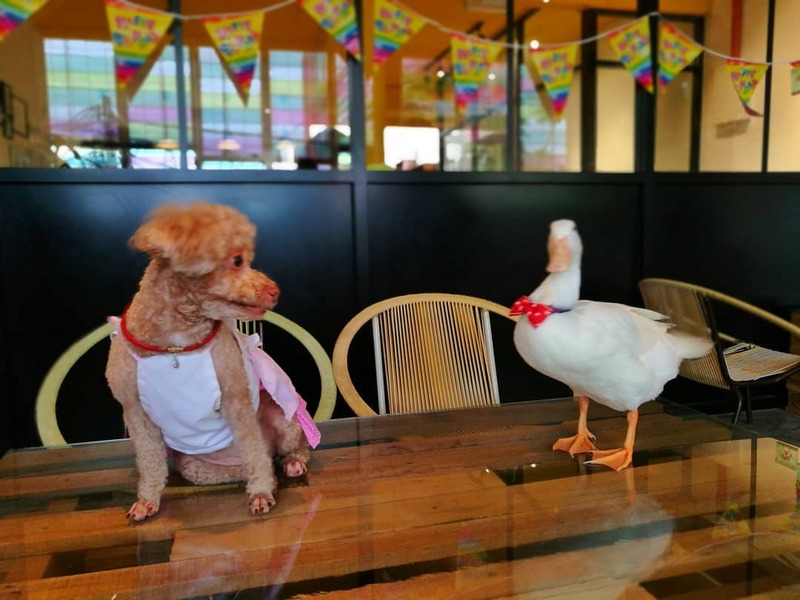 “Most people are generally curious to know what it is like to be living with a duck in a high-rise building,” Lim spoke to Star2. The story of how Daisy, affectionately known as Bibit, came about is an interesting one. Lim had actually hatched Daisy herself! 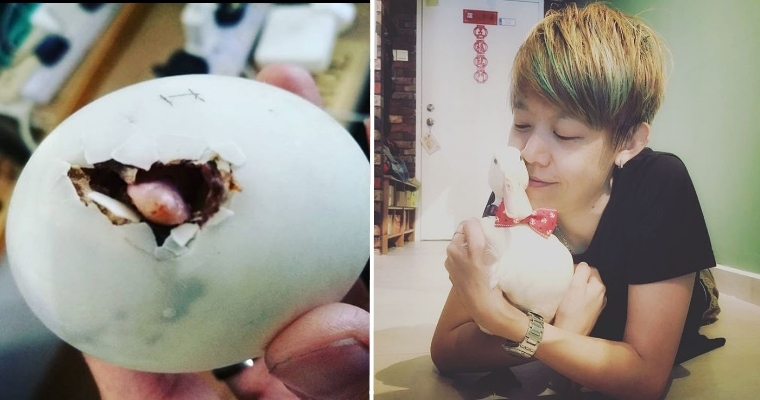 Lim found the egg in a Vietnamese restaurant in Puchong that sold balut, a Filipino snack of fertilised duck embryo eaten alive from the shell. Lim had bought one on impulse and wondered what would happen if she tried to hatch it. 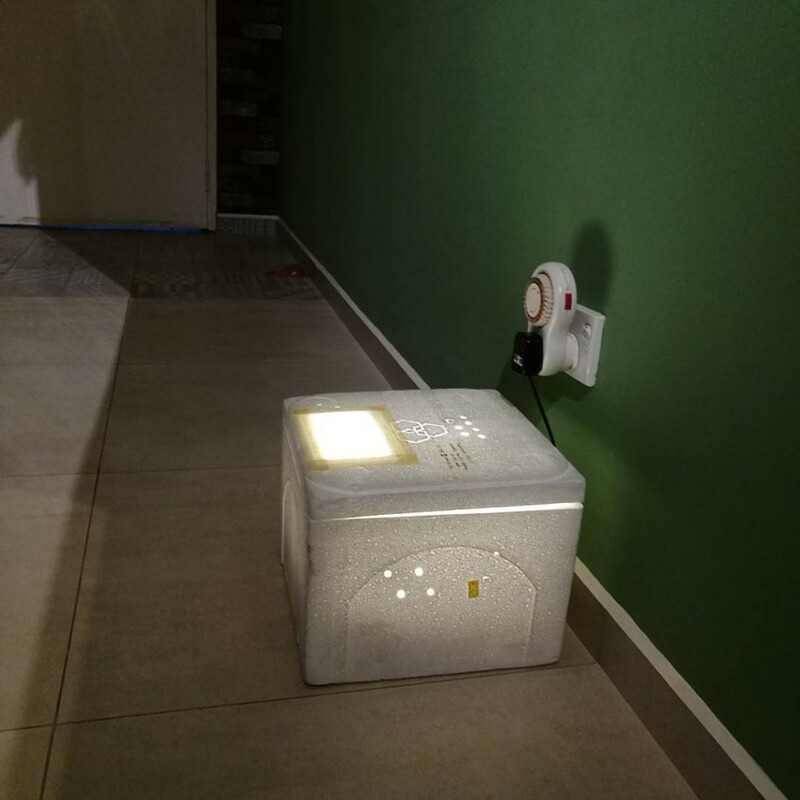 Driven by curiosity, she built a homemade incubator using a styrofoam box and heat lamps, placing the egg inside. Lo and behold, two weeks later, Lim welcomed her new pet as Bibit popped out. 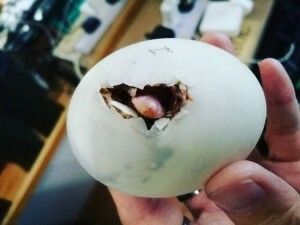 “Watching her emerge from the egg, I fell in love with her immediately. And that was how I became a ‘mother’ on Father’s Day in 2017,” Lim recalls. From a tiny ball of yellow fluff that sat in the palm of Lim’s hand, Bibit soon grew to become a loyal friend covered in soft, white feathers. According to Lim, Bibit gets along perfectly with her fellow pet, Feipo the dog. “She is a very cute buddy who loves to keep me company and follows me wherever I go. She also gets along well with my old dog. Bibit and Feipo are the best of friends,” Lim said. 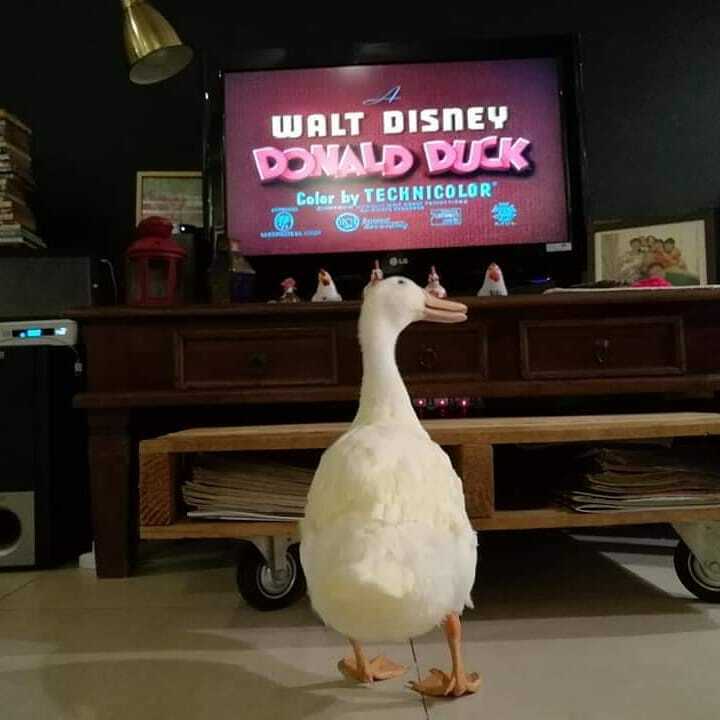 Bibit is a really chill duck, it seems, hanging out beside her owner as she reads or watches TV after a long day of work. “Bibit loves watching movies and we often enjoy movie marathons together. She is a city duck, so she knows how to enjoy city life, just like any other ordinary city folk,” Lim says, mentioning that they watch movies on Netflix and even listen to music on Spotify. On her Instagram (Yes, Bibit’s on Instagram, it’s the in thing these days) one can find pictures of Bibit waddling about home, trying on new outfits, and even see some of her adventures out and about. And while Bibit may quack, she doesn’t slack. 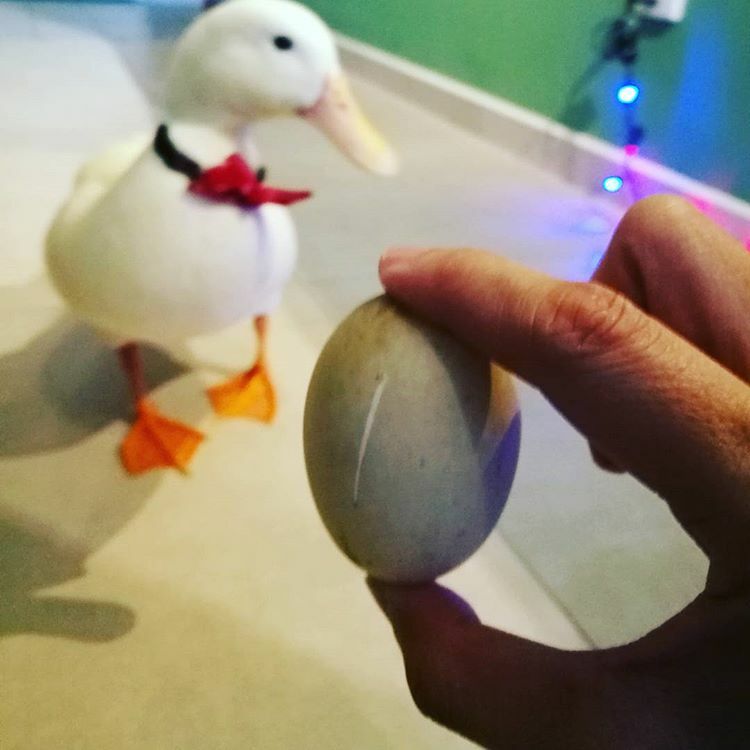 She’s been doing her part as resident egg supplier by laying eggs ever since she was 8 months old. “She lays one egg every 25 hours. So, I now have an unlimited supply of eggs, many of which are double-yolked… I’ve made lots of salted duck eggs that I share with friends and family,” Lim cheerfully adds. 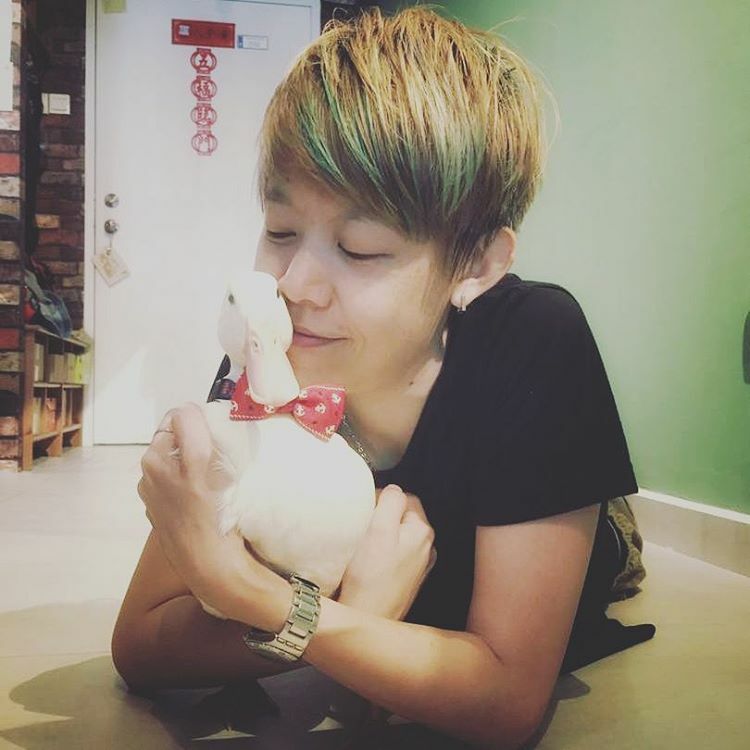 Lim’s adorable pet has influenced some of her friends to start getting ducks as well. In fact, she has even helped one of her neighbours hatch her own duckling! “Ducks make wonderful companions. My Bibit is charming and attentive. I hope more people realise how much fun it is to have a duck as a pet.” Lim concludes, happy that more and more people see ducks for the lovely companions they are. What an adorable story! We’re happy Bibit’s now living a happy life with her owner and her dog friend. You guys can follow this cool duck on Instagram here. 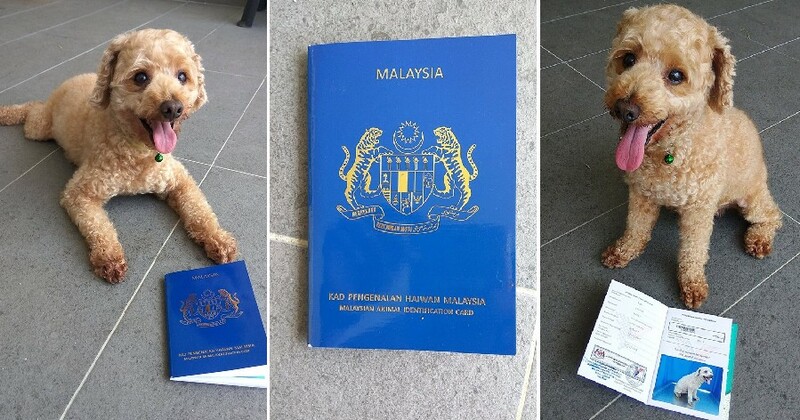 Also read: Did You Know That You Can Register for a Malaysian Animal Identification Card For Pets?